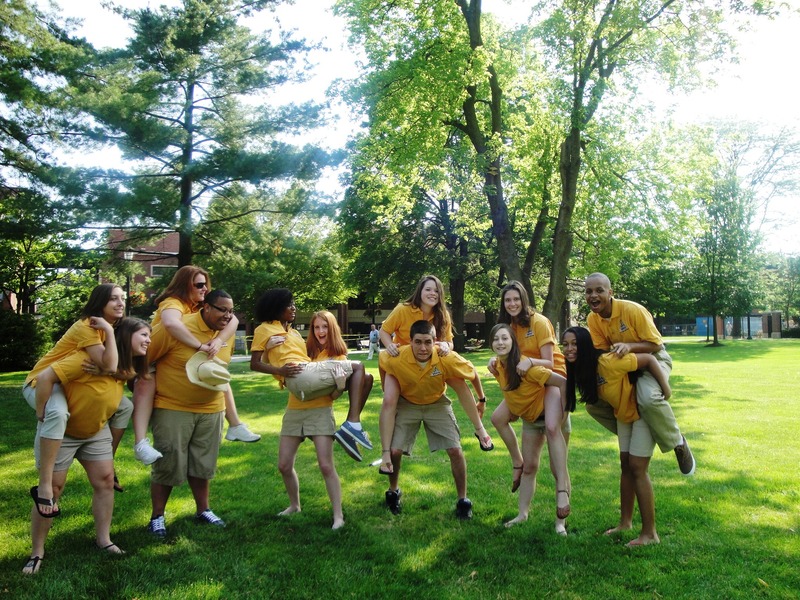 So, you want to be an Orientation Leader? In May, most Saint Rose students say goodbye to campus until the end of August. However, there is a small group of enthusiastic, saint rose loving people that come back in June/July to welcome the incoming freshman class. Those people are your Orientation Leaders, and I’ve had the chance to be an “OL” twice. I had such a great time getting to know both my fellow Orientation Leaders and the incoming freshman. We worked extremely hard, but we also had a lot of fun. As and Orientaion leader, I flashmobbed in a bowling alley, went zip lining, help the parents and students of the incoming class adjustto Saint Rose, and more. Does any of this sound like fun to you? Did you have a great time at your Orientation Session? Do you LOVE Saint Rose? Are you outgoing and enthusiastic? Are you not afraid to scream and cheer for freshmen as they check in? Do you want to get the freshman class excited about coming here in the fall and help answer all of their questions? If your answer is yes, then you should apply to be and Orientation Leader!! Information sheets are available now in the Student Affairs office. Pick one up now or read more about the job here! I am so excited to apply! I checked out the application through e-career center. Do you know if I still need to stop by Student Affairs if it is online now?